"Did you ever think that Grace would be a movie star?" "Sure, baby." Kino Lorber has revealed a brand new, full-length official US trailer for the documentary Grace Jones: Bloodlight & Bami, from director Sophie Fiennes, which premiered at the Toronto Film Festival last year and already opened in Europe last fall. 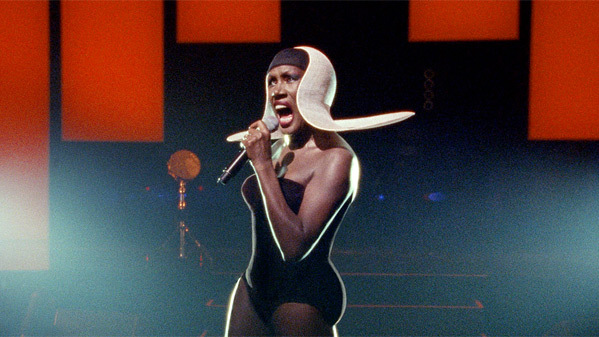 Originally titled Grace Jones - The Musical of My Life, the film tells the life story of artist/dancer/actor Grace Jones, who some may recognize as May Day from A View to a Kill, though her career is much more diverse ranging from dance to art to music and much more. 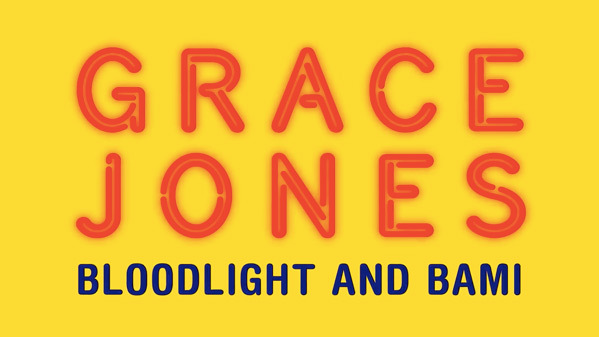 Described as an "electrifying journey through the public and private worlds of pop culture mega-icon Grace Jones contrasts musical sequences with intimate personal footage, all the while brimming with Jones’s bold aesthetic." The first two trailers didn't show much, but this one finally gives us a better look with more of the fun footage in this very personal doc. You can still see the very first teaser trailer for Grace Jones: Bloodlight & Bami here, or the second teaser. Larger than life, wild, scary and androgynous - Grace Jones plays all these parts. Yet here we also discover her as a lover, daughter, mother, sister and even grandmother, as she submits herself to our gaze and allows us to understand what constitutes her mask. The stage is where her most extreme embodiments are realised and her theatrical imagination lets loose: this is where the musical of her life is played out. The film includes Grace's unique performances singing iconic hits such as Slave To The Rhythm, Pull Up To The Bumper, as well as the more recent autobiographical tracks Williams' Bloods and Hurricane. These personal songs also link to Grace's family life, as the film takes us on a holiday road trip across Jamaica, where her family roots and the story of her traumatic childhood are uncovered. Grace Jones: Bloodlight & Bami is directed by filmmaker Sophie Fiennes, of the films Over Your Cities Grass Will Grow and The Pervert's Guide to Ideology previously. The film first premiered at the Toronto Film Festival last year, and opened in the UK last fall. Kino Lorber will release the doc in select theaters starting April 13th this spring.